The two, from St. Petersburg, are students at Boca Ciega High School, according to the Pinellas Park Police Department. 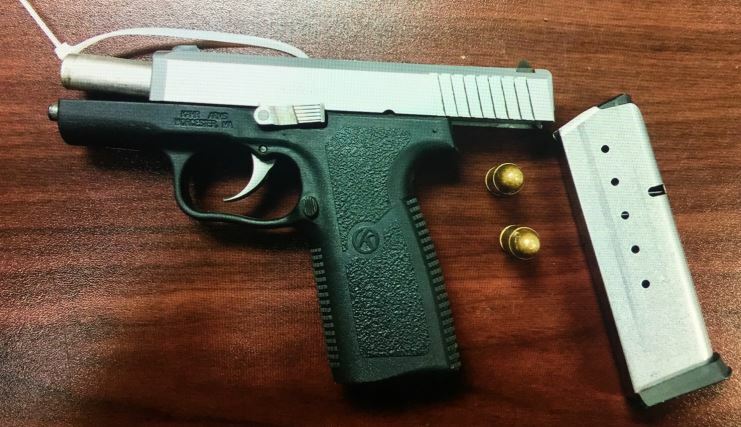 PINELLAS PARK – Two Boca Ciega High School students have been accused of having a gun on school property, the Pinellas Park Police Department said. Gary R. Ponder and Altrevion R. Isaac were each charged with one county of possession of a weapon on school property, a felony. Both are 17 years old and from St. Petersburg. Both attend Boca Ciega High School. They were arrested Friday (Aug. 18) at a high school football game being played at Pinellas Park High School, 6305 118th Ave, N. arrested for being in possession of a weapon on school property. During the football game, both Isaac and Ponder each had possession of a back pack that contained a .45 caliber semi-automatic handgun that was loaded with two rounds, police said. A spectator saw Isaac and Ponder showing the gun off inside the back pack and told police. A Pinellas Park police school resource officer who was already at the game approached Isaac who had the back pack. The officer search the back pack and said he found the gun. During questioning, police said, both admitted being in possession of the gun and to having had the gun earlier in the day while at Boca Ciega. The gun was not reported stolen and it is unknown at this time how or where they got the gun. Photos courtesy of the Pinellas Park Police Department.